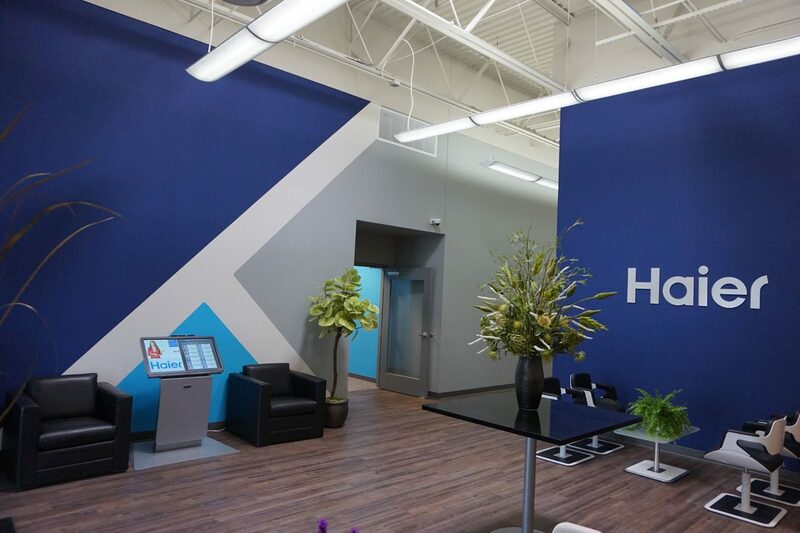 Haier America is part of the largest appliance company in the world, focusing mainly on entry-level appliances. 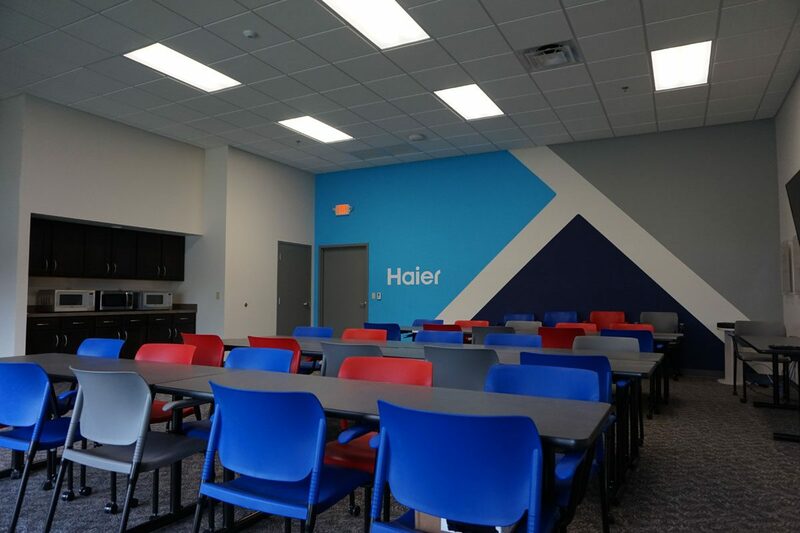 For the Evansville location, Haier acquired the 80 year-old abandoned Coca-Cola warehouse, and set up their first-ever United States technology, research and development and design studio. 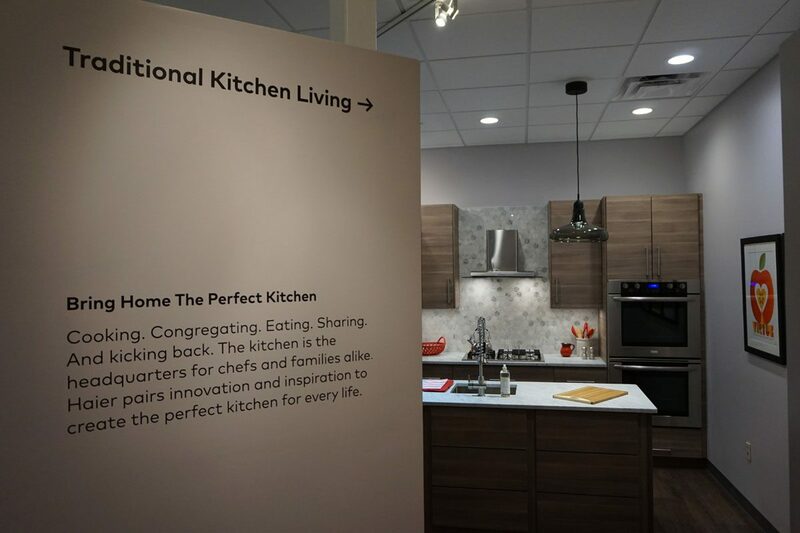 Every product designed by Haier for North and South America specifically is designed in this new research and development lab. The facility is a design and test center for high end appliances, a next stage endeavor for Haier. Refrigerators, microwaves, humidifiers, washers, dryers and even kegerators are all designed and tested here. 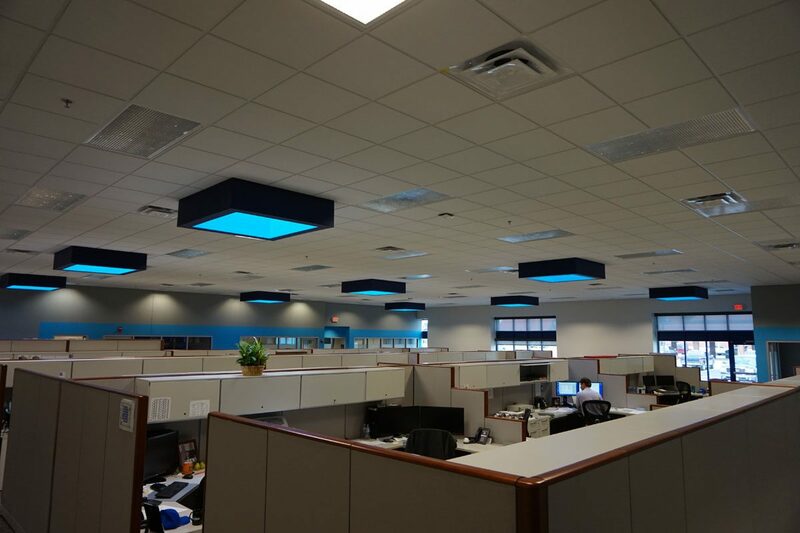 To facilitate these experiments and Haier’s workflow, Morley worked closely with the developer, FH5 Properties, as well as Haier, providing architecture, engineering and surveying to create state-of-the-art offices with open and private working areas, conference rooms and testing laboratories, skylights with painted light wells, an entry canopy and an outdoor sculpture. We also created new sidewalks, parking and landscaping. 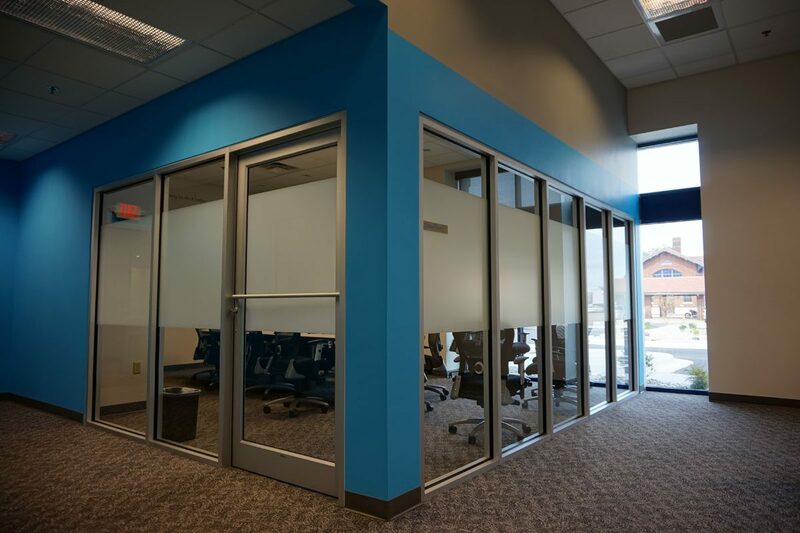 The testing laboratories are unmatched and intricately unique, designed to accommodate environmental conditions, various use cycles and specialty operations, while simultaneously promoting privacy and efficiency within the working space. The restructured 80 year-old building retains much of it’s character within such a high tech space, by exposing original structures throughout the building. Overall, Morley was able to work in an urban area using design knowledge and experience to completely revitalize this area’s energy and contribute to its growth.